TradeTracker - Affiliate CPA network reviews and details. As one of the best marketing online programs, TradeTracker.com attempts to improve performance marketing. 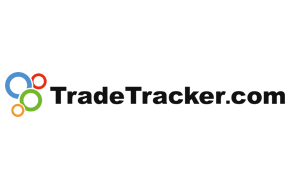 TradeTracker.com is an affiliate network that drives conversions and increases brand awareness. Working with us, you can develop your affiliate marketing campaigns on a global scale. Not only does our software help you to expand your sales it also implements and tracks numerous other campaigns. Moreover, by adding the local marketing flavors on top, you have a chance to be a notably strong player at market level. We have a team of account managers who can help you to integrate all your campaigns and manage them effectively. Our CPA network provides transparency and marketing intelligence to drive digital advertising with confidence. The comprehensive information that is necessary for online approaches will be offered. Besides, you will be provided with all the tools you need to formulate the best approach to an ideal expense for the media. You can check TradeTracker reviews and Offers on Affbank and ask TradeTracker Team any question by using the contacts above, especially about how to earn money!